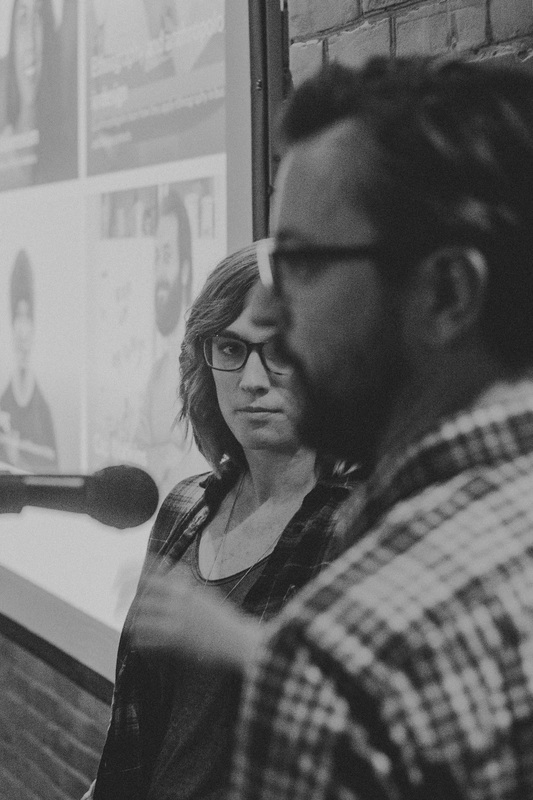 Our latest Paris Lectures event, a Creative Show & Tell with 14 amazing presentations and 18 brave presenters, was a doozy. 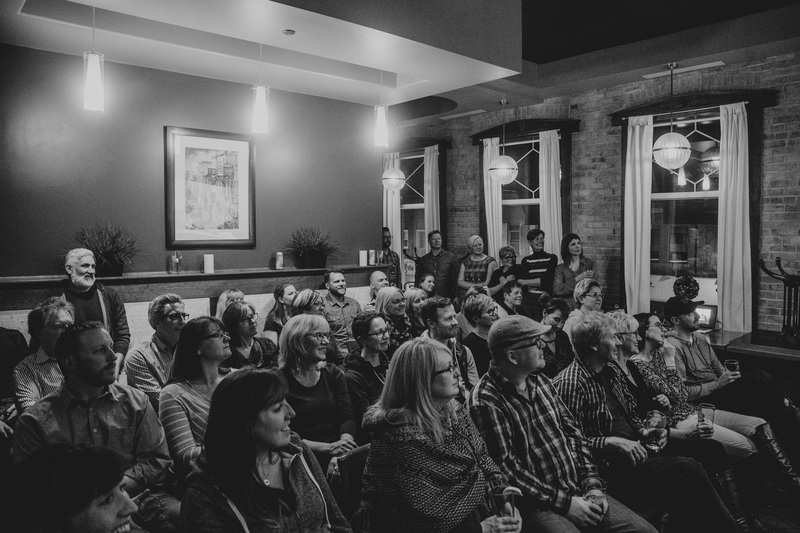 We packed out the private room at Stillwaters (somewhat unexpectedly) from wall to wall and spilling out the doorway, and then amongst friends – some new, some known – we filled our cups with overflowing inspiration. Although we asked attendees to register for our event, the interest in seeing our lineup seemed to outgrow our available tickets. We had overbooked our room’s capacity by a few extra spots (we regularly do as there are frequently last-minute cancellations) and even still had 15 people on our waiting list. When Cassie arrived at the venue after putting the toddler down for bed, throngs of people spilled into the space adjacent to our room and hovered around the hostess station. A quick peek around the corner revealed fully packed rows of seats as well. Thankfully Stillwaters was having a quiet night, and our server was extremely accommodating! Our speakers graciously gave up their seats and we were able to fit a few more people in the back, fill a couple randomly vacant seats, and find our pregnant attendee a spot up front. Then we were ready to roll. Our creative warm-ups are always fun for us. 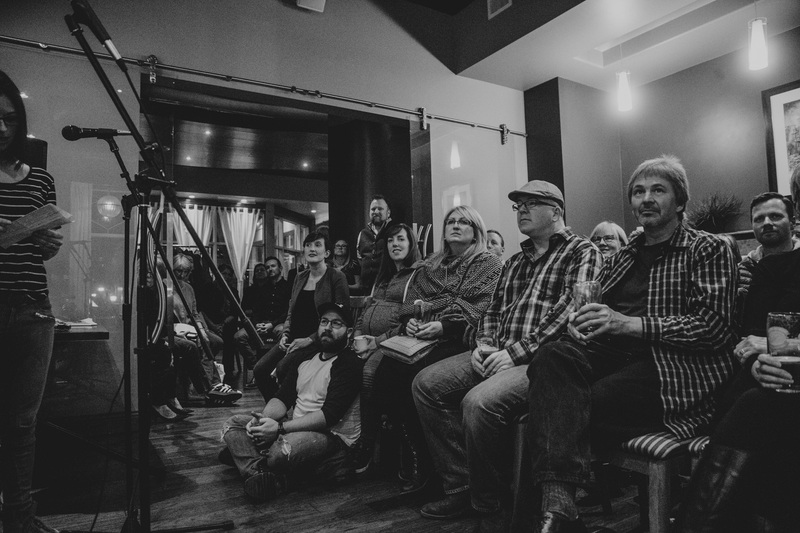 It’s fun to see how the crowd reacts and fun to see everyone get a little nervous too, which levels the playing field, calming both our own nerves and our speakers’. For this event, our ninth Paris Lecture, we collectively counted to nine: each person was only allowed to shout out one number, counting sequentially from one, and if anyone said a number at the same time as someone else we had to start over again at one. When we finally got to nine, the lucky woman who’d shouted out nine won a copy of Steve Howes’ and Brian Jenkin’s 1989 Map of Paris. The speakers were all professionals in their own rights, but speaking in front of a group is a different skill. 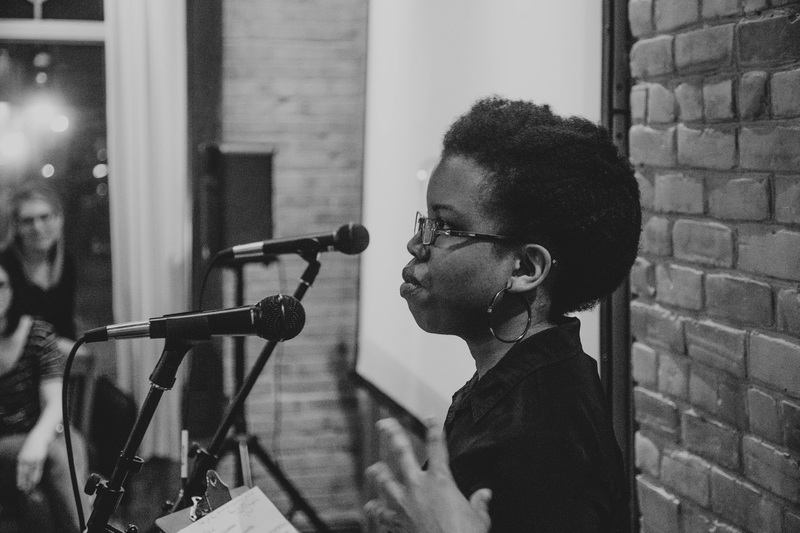 And though you wouldn’t have known it from the presentations we were aware that some of our speakers were nearly paralyzed with stage fright. Everyone had legit jitters, including us, and it warmed our hearts to know that this event was both stretching and honing different muscles for all of us in a welcoming environment. Some of our most inexperienced speakers got the loudest applause and we loved that! Weaving itself throughout the night was the theme of community and how important it is for us to nourish it. Kari Raymer Bishop, imparting her beekeeper wisdom, noted that individual bees are hardly considered viable and that the collective organism of a hive is what makes the species able to survive and thrive. Kim and Steve of Studio50 shared an update on their collective maker space and intent to imbue their property with slow-living qualities to be enjoyed by the community. 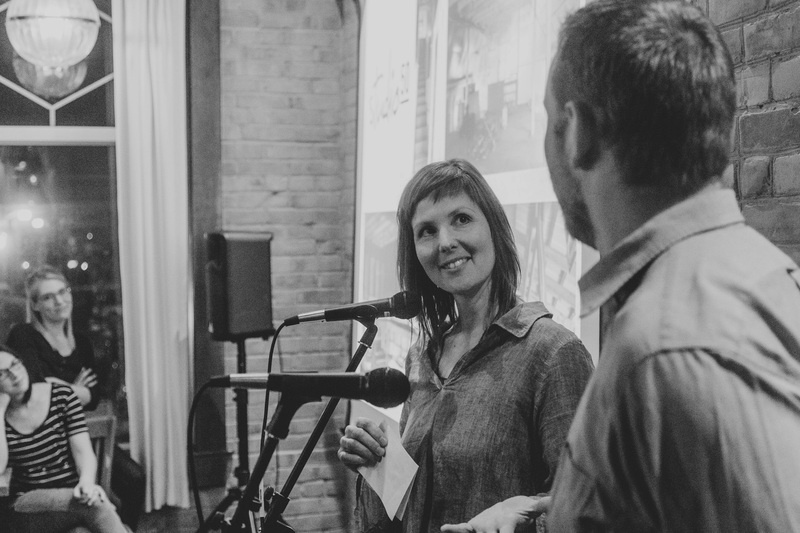 Karen of Found Studio and Anne and Rick of Rooms and Blooms hinted at the importance of other people’s support. And many others recounted deep dives into the human experience, whether through photography, books or interviews. At our roots, we are all looking for ways to connect to one another. As a last hurrah for the evening Mark demo’d a different style of talk – Pecha Kucha – where 20 slides auto-advance on a timer of 20 seconds each. As this event felt so much like a party, we are keen to do more like it. 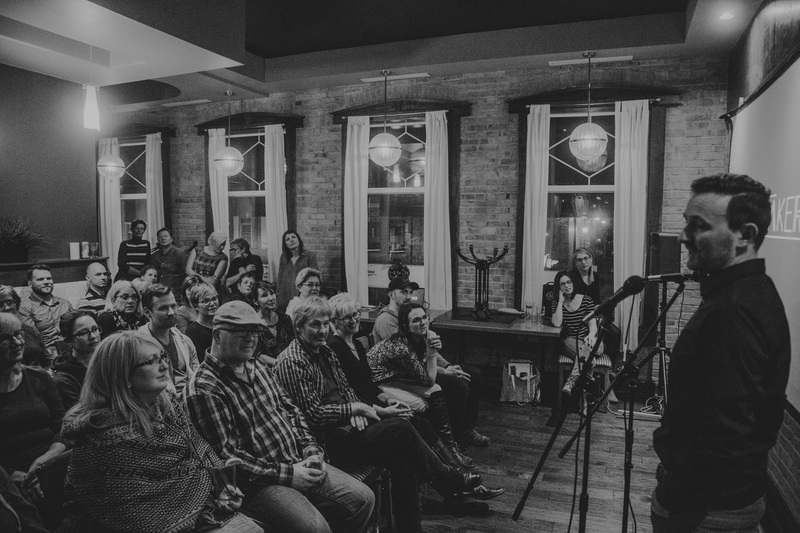 We plan to host a pecha kucha event in the fall at a larger venue which will be a massive amount of prep work, so we aim to get started soon. For an example of how much you can squeeze into the format, check out Mark’s missives on English Language. Prepare to be charmed. We’d like to extend a special thanks to Steve Howes and Brian Jenkins, Adele Service and Anne and Rick of Rooms and Blooms for generously donating the evening’s giveaways – a Paris Map, a Kantha Scarf and an antique lantern. More thanks to Stillwaters Plate & Pour for hosting us, to Mailchimp for equipment sponsorship, and to Mark Laferriere who once again lent us his PA system. 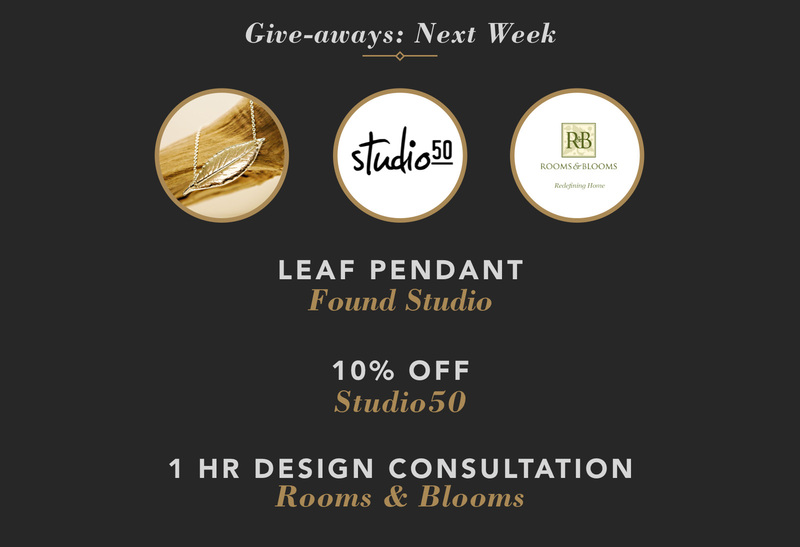 Next week we will be giving more away via social media – a beautiful Found Studio pendant necklace, a Studio50 store-wide coupon, and a one hour design consultation from Rooms and Blooms. Be sure to follow Paris Lectures on Facebook, Twitter and our mailing list to be eligible. An immense amount of gratitude to Tim Srigley who met us early at Stillwaters to help set up. With Cassie’s advancing pregnancy and bad back, it meant a lot to be able to count on someone else to help Mark carry in speakers, set up mics and screens, and move chairs and tables to ready for the big night. Tim waited patiently as we arrived 15 minutes late, and then when the room was clearly overflowing he even gave up his seat that we’d allocated for him and left the venue so as not to impede the experience of others. We were seriously touched and proud to have met Tim. And of course a big thank you again to all our wonderful speakers. We appreciate the time, energy and enthusiasm everyone put into bringing their projects to light in the community through Paris Lectures. 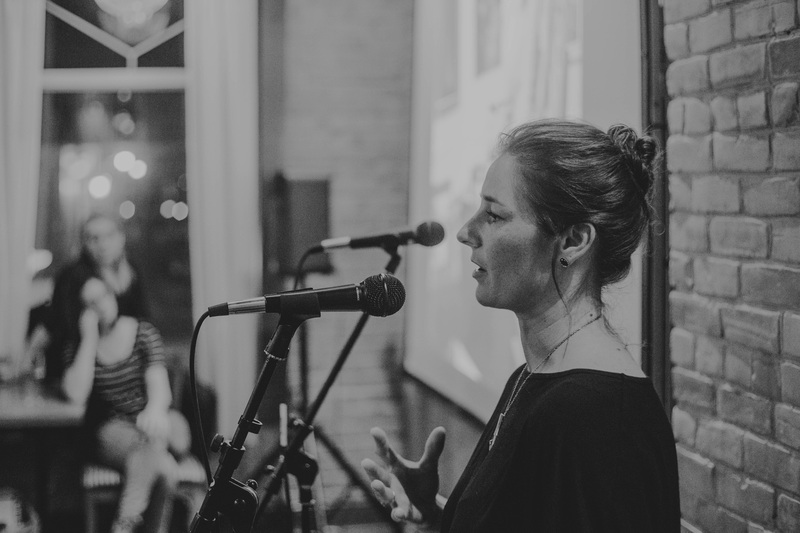 Check out all the speakers’ slides and do dig deeper into each presenter’s work – they will move you, make you think, and will certainly leave you wanting more. 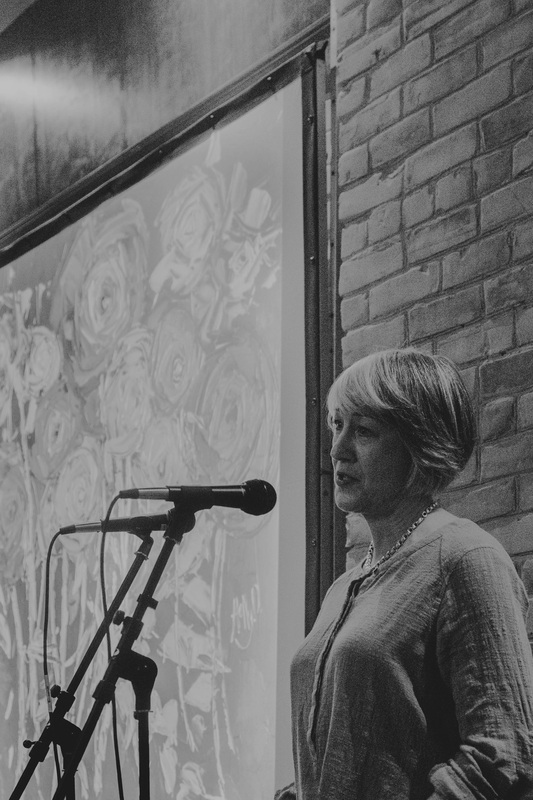 We’re proud of these folks for raising the creative bar for work in our area. Stay tuned for our next event in April! Rest assured we will be collecting tickets at the door next time to avoid people sitting on the floor, so make sure you get your hands on one. 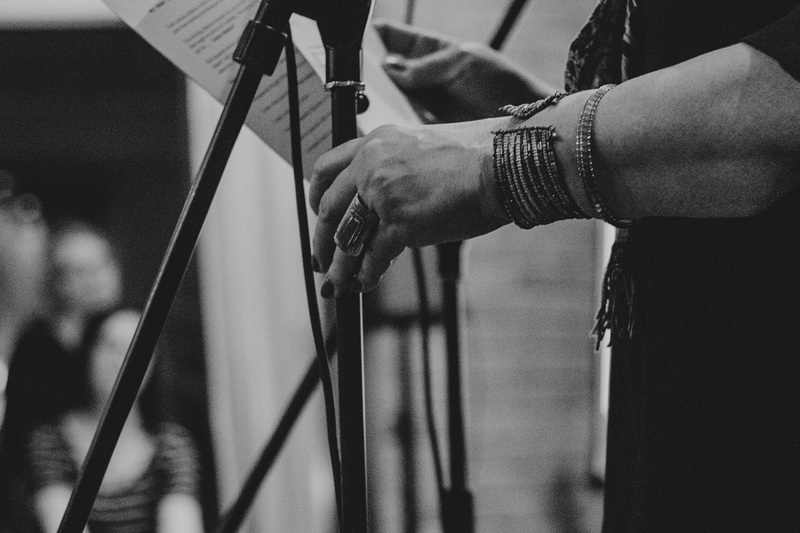 We’ll announce our next speaker and date sometime next week.